Monday Musing… I am Sooooo EXCITED!!! It’s Mardi Gras season here in New Orleans. In fact Mardi Gras is tomorrow and I am sooooo EXCITED!! And its not because I will be participating in all the festivities. I used to LOVE hanging out for Mardi Gras. It was one of my favorite holidays. Yes… in New Orleans, Mardi Gras is an official holiday with three days of school closings and more. Normally I would be getting geared up for some fun. Instead, this year, I am preparing for the launch of my newest webinar series The Birth Plan Myth Extended! And I. Am. Sooooo EXCITED! The vision for this series came to me almost two years ago and FINALLY it’s coming to fruition. I give thanks and I invite you to join me as I launch this prenatal education series on March 6. I have seen woman after woman come to the hospital, seemingly educated and empowered, yet still uninformed about what happens during a hospital birth. I’ve seen countless others come to the hospital completely uninformed, and subjected to mistreatment and manipulation. These experiences motivated me to create The Birth Plan Myth; a missing ingredient in the gumbo pot of Mother Friendly Care. The Birth Plan Myth was created as an alternative to the typical prenatal and childbirth education available to pregnant women and families. It was created as a tool to be placed into the bag of childbirth educators and doulas. It was created to give women, families, birth workers and birth advocates a unique insider’s view to what happens on the labor and delivery unit during a hospital birth. It was developed to help you navigate the maze of modern day maternity care. I have been given a lot of information over the years and I want to tell you what I know. I want to give you what I have. I want to share the TRUTH of hospital birth that I have inside of me so that women can be free to birth when/where/and how they want to. When it comes to hospital birth, it seems like women are showing up to a formal event in a pair of shorts and flip flops. I don’t have all the answers, but I believe women deserve to know what really goes on. I have an intense passion and a genuine desire for women and birth workers to be armed with the skills they need. It is this passion and desire that gave birth to The Birth Plan Myth Extended. The Birth Plan Myth Extended is a 6-part webinar series consisting of two calls each month beginning March 6, 2014. If you can join us live you will have the opportunity to participate in the question and answer segment. If you have to miss a call, don’t worry; recordings will be provided after each part of this series. Are you preparing to birth in the hospital? Do you support women who birth in the hospital? Are you fed up with stories of women having traumatic births? Have you taken a childbirth education class and still have questions about what REALLY happens on a hospital labor and delivery unit? The Birth Plan Myth – Extended is for YOU! * Teach you ways to communicate with providers that will diminish anxiety, and increase confidence while helping to get the information needed to make informed choices. I am VERY excited about this series and I really hope you will make plans to join me. This series will bring a perspective like none other before. I have been planning this for a while and I am about to explode with excitement! During this series I will be honest. I will hold nothing back. I will provide evidence and give you details of what I know from working inside the hospital system for over 19 years. Register BEFORE the series gets started on March 6th and receive an SMP signature Birth Something Beautiful t-shirt. This series is separated into 3 parts. Part I is called The Myth Explained. These two calls are designed to give you more understanding about why birth plans don’t work. We will discuss in detail ways to communicate with providers and give you the questions to ask that will give you the answers you need. We will talk about how to research providers and hospitals and give you examples of how to write a birth letter instead of a birth plan. Part II is all about interventions. We will discuss the some of the most common interventions used in hospital birth including Induction medications, epidurals, internal and external fetal monitoring, and more. We will discuss the risks and benefits of these interventions and help you understand how to minimize risks when an intervention becomes necessary. We will cover informed consent and informed refusal and I will discuss the realities of hospital birth while giving you suggestions on how to “pick your battles” so that your birth space can remain sacred and you can avoid birthing in a battle field. During the final part of this series My Baby and Me, we will discuss in detail the most common newborn procedures performed in the hospitals. I will provide you with information about why they are done, and tell you what the current research says about them. I will give you a peek inside the newborn nursery and tell you what can happen when you decide not to “room in” with your newborn. The series will end with a call that will give you the keys to creating an empowered birth. Get a sneak peek of the information I will be sharing during this series. Join me Wednesday at 1PM OR 8PM CST for a FREE preview call as I give you a glimpse into this series. During this preview call I will give you a few nuggets from each part of the series that you can put into action now!! The Birth Plan Myth Extended is going to be a dynamic series. I am proud and excited to be able to share this information. If you find this is not for you please forward this email to someone you know can benefit from the information I will be sharing. I encourage you to get registered TODAY. As an added incentive, if you register before the series begins, you will receive a signature Sista Midwife Productions, Birth Something Beautiful t-shirt. I look forward to hearing you on the call! yes, Yes, YES…. I love it when the universe conspires in my favor! I think it happens more times than not for most of us and yet we don’t receive it because we shift the universal energy in another direction and before the blessing can fall from the sky, we send our lives on a detour away from our dreams without even knowing it. Let me tell you what I mean. I am certainly not a “Secret” guru nor a great student of the Law of Attraction but let me say this… No one, and I mean NOBODY can prove to me that the laws of the universe, including the Law of Attraction are not in affect for us, ALL of us, all the time. The Universe does, and will continue to conspire for us in our favor bringing to us what we ask for and affirm, no matter if its “the Universe is conspiring in my favor” OR “the Universe is forcing my hand.” The latter sounds a lot less pleasant sending a message to the universe that I don’t like it and don’t want it. I hear this all the time. Women who are having an empowering un-medicated birth often will say in that moment of realization, when they let go of controlling the outcome, and shift to having faith in things happening the way they have envisioned it… That’s a beautiful space to be in and that’s when Birth… Magic… Blessings happen. Wanna know what has me so excited right now?? 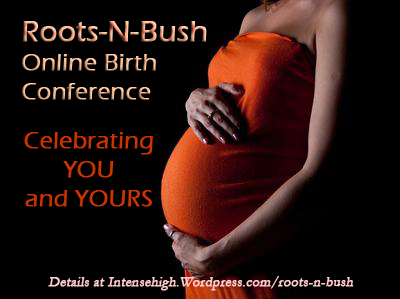 Check out this information about the upcoming Birth Herstory (#BirthHerStory) conference. From the official website: “Birth Herstory is a FREE online annual conference uniting women of colour in celebration of Black History Month. Join us on the Full Moon Monday February 25th 2013 and be inspired to grow and learn from one another in the area of pregnancy, childbirth, breastfeeding and motherhood! 13 amazing women have committed to sharing their expertise in a wide range of subjects all centered around mothering the beautiful woman of colour! Hear speakers such as Shafia Monroe, Nicole Deggins, Darline Turner, Kimberly Seals Allers and Latham Thomas share their best secrets to empower you to create the journey to motherhood of your dreams! This type of conference… featuring Black women talking about birth, sharing wisdom, and giving birth love…. I always knew there was someone else who saw the same vision I saw and Tanya is her!! I’m so excited about this conference and I hope you will join it. While the conference is free you must register. You can’t force birth. You can’t force the timing of your dreams, desires, and blessings. All we can do is speak it, believe it, scratch that…. KNOW it and then put in the work towards it and when it is time… we have to take a step back, Let Go and Let Birth and in that space… magic happens. The following is a post that could be considered late… delayed… or even post dates. And yet in the end it’s right on time…. Close your eyes for a second, and imagine its December 31, 2012. Tomorrow, per the Gregorian calendar, is the first day of 2013. Many people see this as a time of new beginnings, new birth, and recommitment. There was a time when I made New Year’s resolutions and made plans each January to do something different in order to move my life along towards my goals. These days I generally do resolutions/recommitments around my birthday. This year my birthday came and went quickly, with little fan fare, and as a result, with little resolution or recommitments. I think subconsciously something about turning 40 had me in a strange place. But I digress… Fortunately, I see each day as a new day, each week as a new week, each month as a new month and a new time to renew, to recommit. There is, as they say, No time like the present so why do we wait until December 31/ January 1st to make changes in our lives??? Sooooo… THAT’s how my 2013 New Year’s post started 4 weeks ago. As you can see it’s now 4+ weeks later and I am JUST getting around to posting on my blog. One of my goals for 2013 was to get better with my blogging. I wanted to post this in a timely manner. I wanted to start 2013 off on time, with a blog post about time. And in spite of my best efforts, here I am in the second month of the year FINALLY getting this post completed. This brings me to the point of my post then (on December 31st) and now. TIME, as we know it, is really all a farce designed to help us TRY to control that which is really out of our control. I mean think about it… Our years, our days, our clocks have all been MANipulated. The calculation of leap year has changed drastically over the centuries, every year we spring forward and fall back, and if you go to a country that is not based in Christianity, the years are completely different and it is NOT 2013. When it comes to time, it all depends on who you ask, where you are and what you believe. Who decided that THIS should mark MY new year? Time, as we know it, truly is an illusion and it creates stress in many lives. It created stress for me as I felt like the time had passed for me to write a New Year’s post. But then I remembered that this is perfect timing. There is no deadline here. Sometimes we have to learn that OUR time is not DIVINE time and its divine time and order that really make the difference. Sometimes we have to learn to be patient, to wait, and to take things as they come. This does not mean that we don’t move or take action. It just means that sometimes we have to understand that OUR time is not the ONLY time nor is it necessarily the right time. Sometimes we need to slow down and sometimes we even need to sit and wait. This is a lesson I am learning right now. I used to live by the clock. I remember hearing the adage: “To be early is to be on time, to be on time is to be late, and to be late is unthinkable.” I said it. I believed it. And I lived by it. These days I am learning that sometimes it’s okay to be off time. What about you?? Do you ever get caught up in the web of time? Does it ever create stress in your life? It’s okay to slow down. It’s okay to stretch out deadlines and watch things as they unfold. It’s okay to take a break, to take a nap, to have a moment of silence and to enjoy the calm before the storm. As with all things… birth has a lesson to teach us about time. Babies come when they are ready if we allow them to. Other blessings in our lives move in much the same way. When we force the process we often end up with a mess. We have to learn patience. We have to have faith. We have to learn to keep a watchful eye while allowing things to unfold as they may. We have to be vigilant, ever ready to move when the time is right. And sometimes… as any midwife knows… all you can do, need to do, have to do, is sit on your hands and allow time to tell. Here’s to a great year where every day is a new day to start anew and to Birth Something Beautiful. Over the weekend I participated in a Family and Baby Fest in Texas. I was a featured speaker and had a booth where I was able to interact directly with event attendees. It was wonderful making new contacts, meeting new people and most of all speaking with women about their pregnancy and birth experiences. She shared with me the physical and emotional pain she has endured during, between and after her c/sections. She shared how her feelings have been discounted. 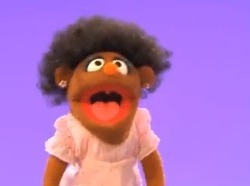 How she was called crazy for wanting to attempt at VBA2C. She is still in pain. It made me sad. I gave her information for International Cesarean Awareness Network (ICAN) and hope that she will reach out to them to share her story with others and to provide her with a space of healing. If you are still healing emotionally and physically from a cesarean section, I encourage you to reach out to the ICAN chapter in your area and even consider going to one of their conferences. You are not alone. Me: So why are you having a cesarean? Me: *Blank Stare* Huh? Just so you know that is NOT an indication for a c/section … I don’t understand is this your first baby? Her: Yes my first baby… That’s what my doctor told me. I also had major back surgery years ago so with both of those things my doctor really just felt like this would be best. Me: Ohhhh so you wouldn’t be able to get an epidural if you wanted one? Her: Oh no… I checked on that and I was told getting an epidural would not be a problem. Me: So wait… You can get an epidural if you want one and so basically the only reason your doctor is telling you that he wants to do a c/section is because he wants to remove an ovary? Me: Well I don’t want you to think I am trying to undermine your doctor but you REALLY need to ask some questions about this. Ovary removal is NOT a major abdominal surgery and it is definitely not a reason for a c/section. C/sections come with a number of risks for you and baby and if you don’t need one you don’t want one. You REALLY need to ask your doctor about this. This is the very reason I do pregnancy coaching as a part of my work. I want to help women know when, where, and how to get to the TRUTH about what their doctor is telling them. What your doctor is telling you is not all true. Getting an ovary removed and having a history of back surgery is NOT a reason you would need a cesarean. You have to question him. I think this conversation pissed me off the most on Saturday afternoon. I felt so bad for her and really hope she challenges her doctor about this. 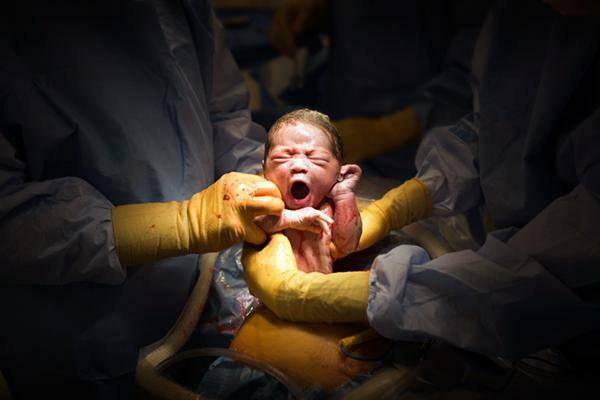 Removing an ovary during a c/section if the c/section is REQUIRED is an okay thing. Telling a first time mom that she NEEDS a c/section because she also needs an ovary removed is NOT okay. This is the mom I am most happy about. She spoke to me about her desire for a home birth. She told me how she tried to find a home birth provider but was unable to do so because she has Medicaid. Medicaid does not cover home birth and she cannot afford the out of pocket cost (approximately $4000.) She was well informed and shared stories of the reactions of the various doctors she has been interviewing. The ones she found so far are NOT supportive of natural birth. One practically told her “You can’t do that here” As she described the natural birth she wanted. Earlier in the day I had been speaking with the wonderful women of the Beaumont Breastfeeding Coalition and KNEW that they would be able to help this couple. I introduced this couple to soon to be midwife Amy of the Coalition and she immediately told them about a birth center about 1.5 hours away that accepts Medicaid. Being a first time mom we assured her… she has PLENTY time to get there once labor started. It felt good to do this. To connect a mom in need to a viable option that will allow her to Birth Something Beautiful™. This last conversation happened near the end of the Expo. It was a wonderful way to end the event. I spoke to many moms that day. I hope something I said moved them into action to ask questions, to seek answers, and to learn the truth about childbirth in America. Have you been to any baby expos lately? Did you learn something new or help a mom find a solution? Share your expo story!